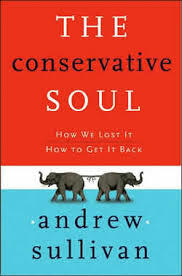 I finally read The Conservative Soul. I had borrowed this book more than three months ago from the library and it was sitting on my book shelf, before I decided to dig into it, to write a white paper on political theory. Given that most of my professors are Marxists, ex-Marxists or Liberals of some stripe, I rarely read any conservative writers. And given my own political leanings, which are somewhat liberal and thanks to Sullivan, I realize now, partly ‘conservative’, I have not been too attracted with screeds from conservatives. I must confess to having read my fair share of libertarians including Hayek, Mises and others of the Austrian School of Economics. This book is a good introduction to conservative thought. What is the core argument here? Sullivan seems to be arguing that in our tech savvy, ever changing world, where uncertainty, destruction and change are the only norm, conservatism is a call for some stability. As a political philosophy, it roots people in something that is unchanging, traditional and for the lack of a better term ‘real.’ He does a pretty good job of tracing the history of the conservative movement in the U.K. (where he is from, originally) and the U.S. Given his personal background (A gay Catholic) and someone who has lived in the Western world all his life, there are a few good insights that inform his work. His take on how we are all away from home, displaced, anxious and in alien environments seems spot-on. At the same time, he makes some fundamental errors when speaking of Islamic fundamentalism. He seems to be painting the Shii Fundamentalism of Iran in the same brush as the fundamentalism of Wahhabis. For someone who studied Political theory at Harvard, this is too great an error to conflate the two – but he does exactly this. His analysis of fundamentalism and linking it to extremism is also somewhat not fully developed. Though he does point out that there is little room for accommodation in any fundamentalist creed, is a somewhat flawed and superficial reading of the situation. This analogy of painting all Islamic fundamentalisms in the same brush, while at the same time completely ignoring Orthodox Jewish fundamentalism – I don’t think there is a single line in the book that talks about it- smacks of either selective analysis or at worst bias. Not good in any case. Nevertheless, his analogy of different fundamentalisms is similar to an American’s concept of a mango. When Americans speak of mangoes, they usually speak of one or at best two varieties of mangoes, that are terrible, tasteless and bland (with due apologies to my Latin American friends). 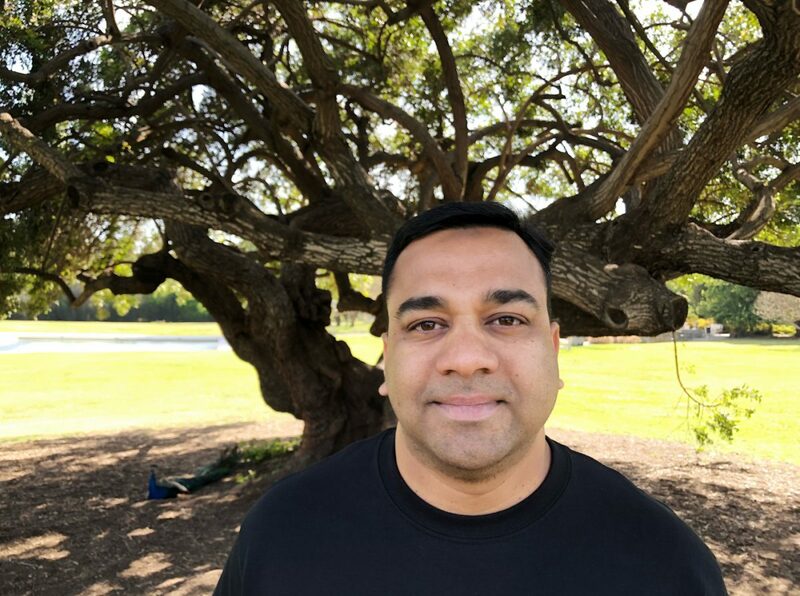 If one has lived in India or visited the country during the Mango season, one will realize that there are literally thousands of varieties of mangoes, each unique in its flavor, fragrance and color. Mango is considered the king of fruits in India – and with good reason. So, the concept of Mango for an American and an Indian is totally different. The same is the case with Sullivan – for whom anything with ‘Islamic’ seems uni-dimensional and reductionist. He does show some nuance with Christianity (not my specialty) so I will give him credit where it is due. Looking at some of his other arguments, one sees that he does a good job of tracking how America became a ‘churched’ nation, as he quotes Roger Finke and Rodney Stark’s The Churching of America 1776-1990, a study that points out that prerevolutionary America had just 17 percent of the population was ‘churched’, while it grew to 30 percent in mid-nineteenth century and in 1980 was around 62 percent. This trend seems to be shifting, though slowly. As of 20013, Evangelism is on the decline, with the rise of Catholicism and other religions such as Islam, according to this insightful article in The American Scholar. He sounds more like a pragmatist than a conservative when he says “And so contemporary conservatives accept this changed world and adapt themselves to it. May be they will try and restrain some of its worst impulses, or seize some new opportunities for growth and development. But they will start from where they are. Because there is no other place for a conservative to start.” While he supports basic healthcare for the poor and public education, he is all about small government. While Sullivan opposes progressive taxation, he offers no solution for how the government – small as it might be- should finance these very ventures that are it’s responsibility. He also explicitly shies away from making any policy recommendations and offers a quasi-philosophical framework for analysis. His foreign policy analysis seems naïve at best, with all the cheering for Iraq war and espousing of a neoconservative line of thinking. While his support for minimal social welfare is laudable, and this is where I think he is a pragmatist, I don’t think his analysis of the securitization discourse is accurate at all. He seems to have bought into it, in total; with no doubt. When he says that international terrorism (and we know what he is referring to) is the greatest threat before us, this seems to ally with much of the discourse that came out of GW Bush’s administration. More fear mongering, so one can keep the security apparatus at an all-time alert – all to secure our borders from the ‘enemy’. Apparently, the international order, laws and conventions mean nothing to Sullivan – who lives in a world of his own making – a very dark one, indeed. Overall, not a bad read. This book definitely provides insights into the challenges that many ‘progressive’ minded conservatives think. An easy read, but with a few gaps and undeveloped ideas. I would still recommend this book. Sullivan, A. (2006).The Conservative Soul. Harper Collins. New York. Sure, its a good book. I hope I have been fair in my assessment of it!